Own room with full board and lodging. Family paid language class. Describtion of family: My husband has accepted a new job in Germany. The children and I are planning to stay in Sweden until summer 2020, but I need help with daily logistics. The older children also need to improve their German reading and writing skills, and I will need help with that too. In our free time we enjoy the outdoors and music. The two older children play musical instruments. They are relatively independent and take the bus to school and activities. Own room with full board and lodging the mothers parents home/10 min from they lived /walk or bike. The family paid language school. 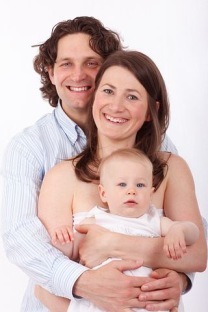 Describtion of family: Our name is Matilda and Viktor, we live in central Karlskrona. We work with real estate in Matilda's parent company, Matilda loves to cook and have friends over. Viktor has a great hockey interest and we meet friends and watch hockey and have dinner. We love to travel so we can gladly do it when we are available. Aupair to Swedish family family in Spanga. Own room with full board and lodging. Describtion of family: We are a active and hard working family with 3 children. We live 20 minutes with train outside of central Stockholm in a house in the suburb. We spend the weekends on our boat in the Stockholm Archipelag and like to ski in the wintertime. Own room with full board and lodging . The family paid language class. Describtion of family: We are a familiy of three that travels abroad often and enjoys life. We live in a nice area in Malmo in a big house, close to the sea and close to both central Malmo and Copenhagen. We love to be together and do things together, we love to sing and dance, play music together, go swimming, be outdoors, and do city weekend travels. We are looking for a Swedish-speaking au-pair to interactivelly help with the Swedish of our bi-lingual 4-year old. Own room with full board and lodging. The family paid language school. Describtion family: We, Max and Maria, are small business owners both working in the same family company, a communication agency. We will welcome an au pair as new member of our family and look forward meeting with you! We are an active family often taking kids to activities. We look forward hearing from you! Au-pair to family in Sweden. The Swedish family is livning in house Falkenberg. Au-pair/qualification: Non smoker, childcare experience, happy, positive attitude, fond of children. The family is looking for somebody who is organized, who prefer a structured environment and routine but also had a lots of energy is adaptable and is able to fit into our house. Childcare duties: Mainly childcare, tidying up, meals, leave/ pickup /daycare and activities and little household duties. Own apartment with full board and lodging. Family paid language class. Description the family:Iam a single mom wirh a 4 year old son named Charlie. He is quite and fun boy. Energetic and likes to play. He´s very sweet and kind. A non problem child. We lived in a house next to the sea with a pool 7 km from the city. We want the aupair to be a part of the family if the aupair wants. The aupair will have their own 2 room with bathroom/kitchen. Au-pair to Swedish family in Lidkoping. The family living in house Lidkoping. The family is looking for somebody who is organized, who prefer a structured environment and routine but also had a lots of energy is adaptable and is able to fit into our house . Own room with full board and lodging . The family paid language school. Describtion family: Im a 37 year old woman living alon with my son. I work a lot when I am CEO and partner in a hotel in the city. Carl, my son, who "you" should take care of is a calm and kind guy who plays football and bandy as an interest. We live in a villa area that is nice in a small town. The family living in house/farm. Childcare duties: Take care the children during the time parents work. Describtion family: Happy family and they welcome you to become a part of the family. Au-pair to Swedish family in Varnamo. The family living on a farm with horses. Own room with full board and lodging. The family paid language class. Describtion family: We are living on a fram with horsed. Own company and works from home. The family have one summerhouse in a lake and a small yacht in the see in the west coast. Childcare duties: Mainly childcare, tidying up, meals, leave/pick up daycare and activities and household duties. Describtion family: A happy outgoing family. The children have activities as swimming, horsebackriding, piano and football.